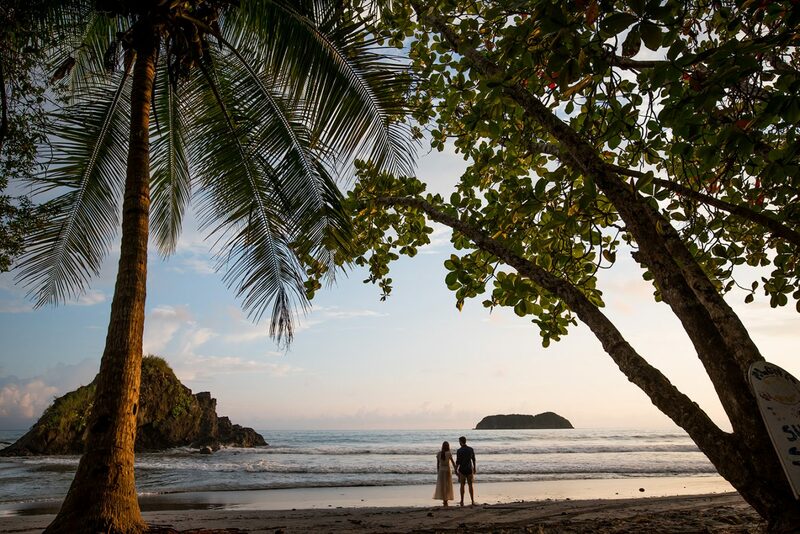 What do you visualize when you see your dream Costa Rica wedding? Many couples imagine those enchanting, sun-flared images that evoke magic and romance. Your Costa Rica wedding photographer will aim to capture that magical essence. However, captivating wedding shots are best achieved in the right lighting. 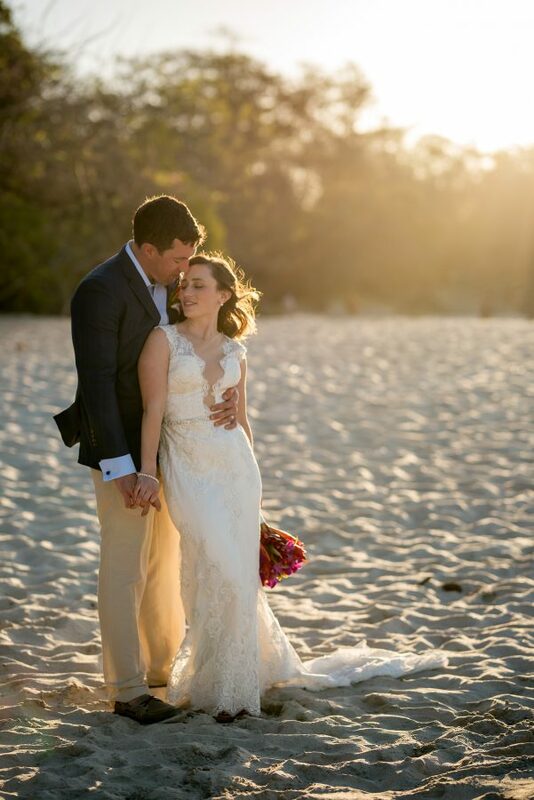 This is why your Costa Rica wedding photographer will highly recommend starting on time to seize the “golden hour”. Professional wedding photographers use this term to describe the first hour of light after sunrise and the last hour of light before sunset. The sunset golden hour also offers about 20 sacred minutes after the sun goes down. 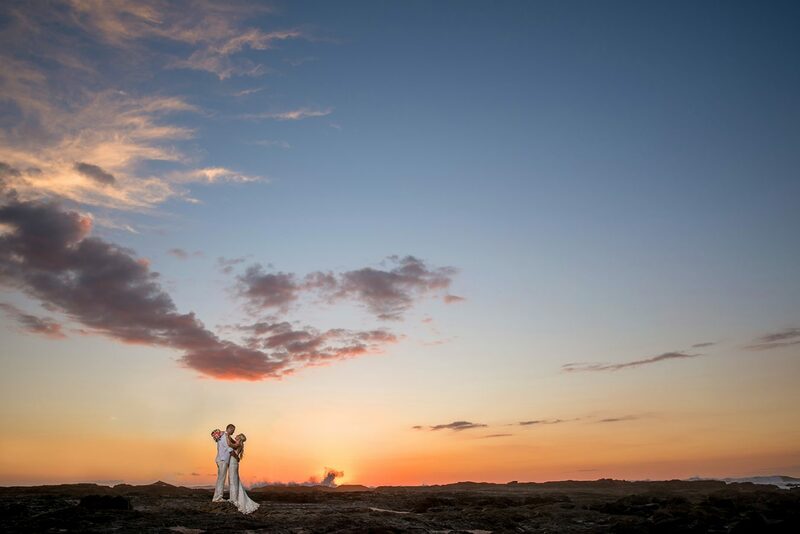 As the sun lowers the light softens, creating the perfect atmosphere for beautiful wedding photography. 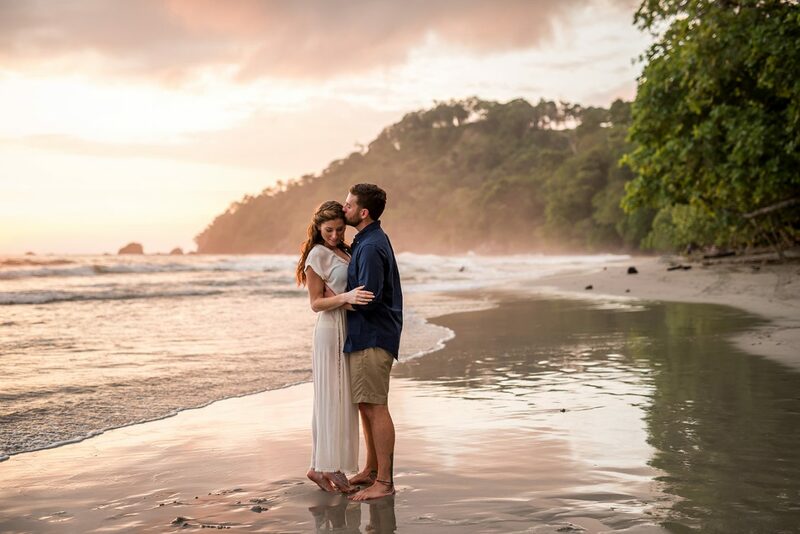 Costa Rica wedding photographers face a challenge when chasing after this precious golden hour. The country lies between 8 and 11 degrees north of the equator, which is close. And, the closer you are, the shorter the golden hour. Therefore, it’s crucial to start the ceremony at least 1 hr before sunset. In Costa Rica, this means starting anytime between 4:00 and 5:00pm depending on the season. 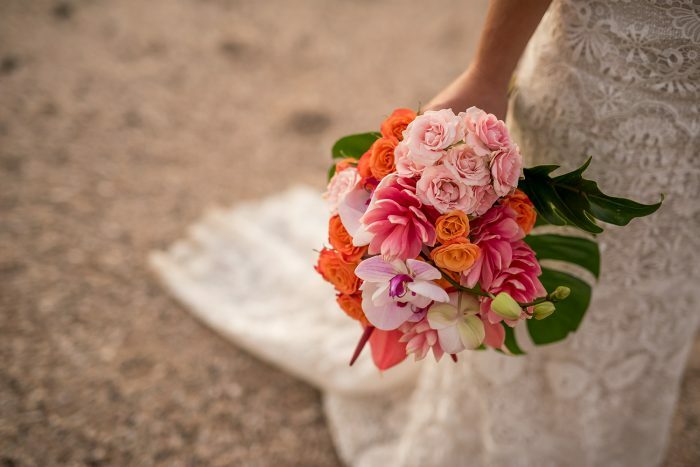 If you’re looking for those stunning sunlit images, it’s important to inform your Costa Rica wedding planner and photographer so they’re able to plan ahead. 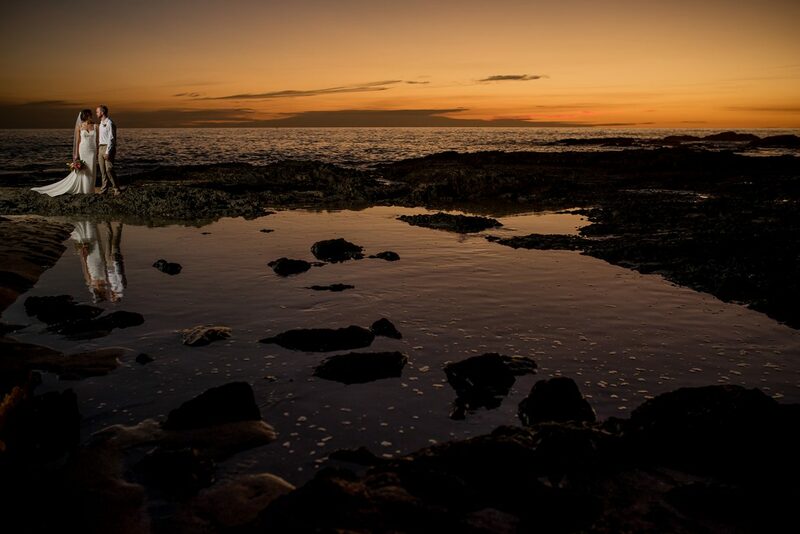 Nothing holds a candle to a Costa Rica beach sunset. Ceremony shots are drenched by an exquisite golden hue that no filter can possibly replicate. As the sun descends so does the temperature, creating a cooler, more comfortable experience for everyone. So, the wedding party relaxes into the pleasant atmosphere, and this shines through in the photos. Additionally, when light diffuses, subjects can look straight out into the horizon without squinting and the warm glow is very flattering. Your wedding photos should capture the magic and beauty of that day, as they will be treasured memories you’ll hold forever. Taking full advantage of the golden hour will allow your Costa Rica wedding photographer to deliver those cherished moments through stunning photography.